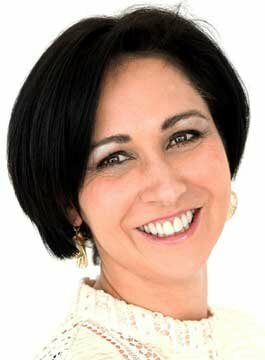 Belinda Parmar OBE is the CEO of The Empathy Business. She is the pioneer of the world’s first empathy index, featured in the Harvard Business Review. Belinda leads a team of empathy geeks that measures and embeds empathy into businesses to make them more profitable. She is also author of Little Miss Geek and The Empathy Era. In the media, Belinda is a regular contributor to The Guardian, the World Economic Forum and the Harvard Business Review. In 2014 she was chosen by the World Economic Forum to be a Young Global Leader. Belinda was awarded an OBE for bringing more women into technology. Belinda is a regular keynote speaker on three big areas that are shaping our world: Empathy, Technology and Business. Belinda argues that technology is fuelling the empathy deficit despite its promises of democratization, and that our biases are becoming embedded in our algorithms and empathy is becoming scarcer. With a new workforce of digital natives, we are witnessing a backlash from society towards big business. Belinda puts the case for businesses to be more empathic and shows the opportunity, drawing on tangible ‘nudges’ that companies can implement to improve their empathy. All of her talks are based on changes that she has made in businesses which have impacted company performance. What new skills will we need in this new technological era where robots don’t just perform menial tasks? What will our working lives look like for us and for the new generation of millennials who will have an average of twenty jobs over their working life? And is the 9-5 working day gone for ever? This talk argues that the most precious skill in an automated future will be our humanity. Our ability to problem solve, our creativity and our ability to empathise. We will need to re-examine our relationship and interactions between man and machine (who is freeing who?) and learn new skills to augment and co-exist with machines. Our loyalty to companies is also changing with future generations being less tethered to a company and an individual, and more tethered to a purpose that drives them. The fourth industrial revolution demands a rethink in the way we train our staff and how we motivate the next generation of workers who want more purposeful and empathic cultures. We have been taught to override and suppress our emotions but we will need to be more aware of our emotions to create a symbiotic relationship between man and machine. The future of work belongs to the emotionally literate geek. This workshop is a practical, intense, hands-on session which tests individual empathy skills in extreme conflict. Developing empathy skills with people you like or are similar to you is easy. This workshop is about pushing your empathy skills in stressful situations with those who are different from you. This workshop works well with frontline teams, complaints teams, customer support, sales teams, company branch workers… anyone who has to deal with conflict on a regular basis. Why diversity programmes don’t work? This talk is based on Belinda’s Guardian article on how diversity divides but empathy unites. Belinda presents the data for why diversity programmes have failed over the last 30 years and combines this with her own journey from a diversity based business to an empathy business. This controversial talk focuses on the opportunities for empathy based businesses where empathy becomes ‘core’ business, not the responsibility of a person or a department. Belinda talks about the power of empathy at work. Belinda talks about how companies can define empathy, how they can transform their companies and leadership and the impact of small changes. Belinda will share her journey from being the founder of a female focused business called Lady Geek to going on to running The Empathy Business and her experiences of using empathy in male dominated industries including finance, tech and energy. This provocative and honest talk also challenges the effectiveness of diversity programmes and shares a new vision for what a gender balanced world at work could look like and the commercial benefits it will bring. Belinda charts her journey from flipping burgers in McDonald’s to receiving an OBE for services to women in technology. Belinda’s path to becoming an entrepreneur was neither straight, narrow nor well-trodden. At convent school she first set her sights on becoming a nun. And being a born non-conformist she never imagined she’d end up advising some of the world’s most successful companies on how to transform their businesses through empathy. In 2010 Belinda started her first company, Lady Geek, inspiring more women to enter technology. She contributed to changing the way technology was sold to women, opening the door to an alternative to the ‘pink it & shrink it’ approach. She realised the work she was doing was improving the lives of men as well as women, and that focussing on gender was not the best approach. She realised that empathy had the power to transform businesses, with benefits for everyone, regardless of gender. In 2016, Belinda rebranded her business The Empathy Business and is the pioneer behind The Empathy Index. At every stage on her journey she has been driven by an unflagging determination to improve the state of the world and has come to understand that this is often best achieved by changing small things. Lots of small things.